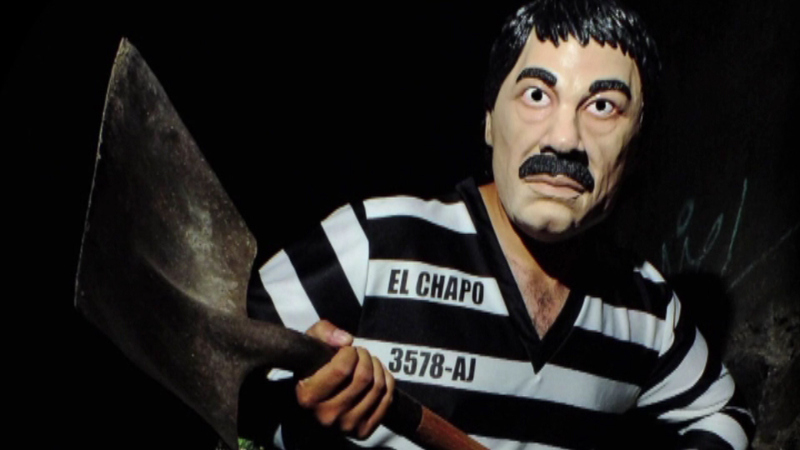 A Mexican company designed an "El Chapo" costume in the image of Mexico and America's most wanted man. Drug lord Joaquin "El Chapo" Guzman is still on the loose, but he not be hard to find this Halloween. A Mexican company designed an "El Chapo" costume of the face of Mexico and America's most wanted man.